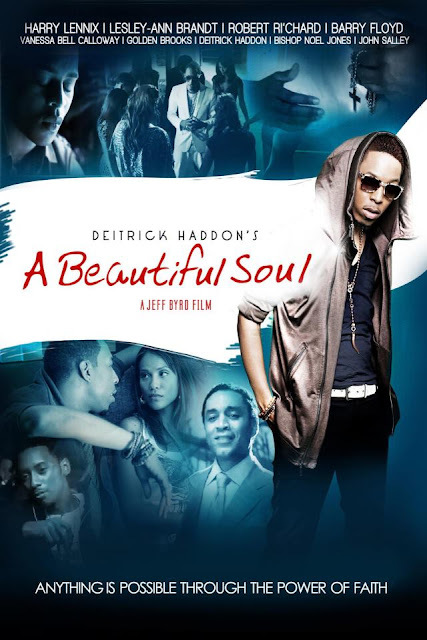 A Beautiful Soul is an upcoming American drama film directed by Jeffrey W. Byrd and produced by Holly Carter, Felicia D. Henderson and Dominique Telson. R&B superstar Andre Stephens (Deitrick Haddon) is on top of the world. He has success, fame, and fortune but spiritually he has lost his way. However, his "perfect" life is shattered when his entourage is brutally attacked, leaving Andre and his best friend Chris Johnson (Robert Ri'chard) clinging to life. On a spiritual journey that exists in a place that is neither on Earth nor in Heaven, Andre is given the opportunity to reevaluate his life and his faith. Here is A Sneak Peek :) Enjoy !! Stay tuned for release information ... We cant wait .